Is there a better alternative to JGMsmart.UC? Is JGMsmart.UC really the best app in Miscellaneous category? Will JGMsmart.UC work good on macOS 10.13.4? 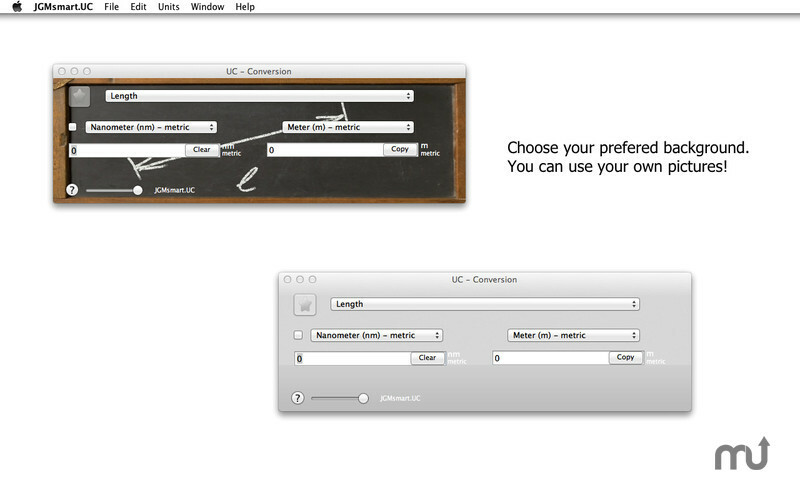 JGMsmart.UC is an easy-to-use converter for physical units. 16 dimensions and around 220 units are installed. 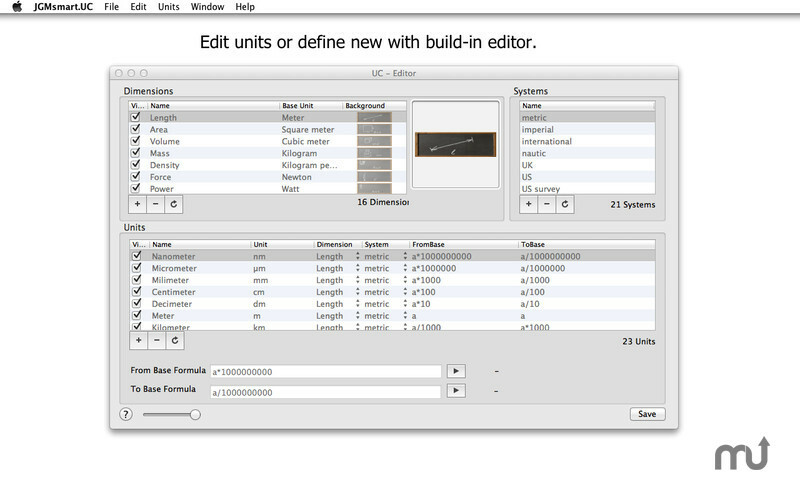 When a specific conversion is missing, it can be added with a built-in editor easily. For calculations, a built-in expression parser is used, making it is possible to realize complex conversions. Additionally, unused units or quantities can easily be hidden so that they no longer appear in the selection fields. Frequently used conversions can be organized into favorites. JGMsmart.UC needs a review. Be the first to review this app and get the discussion started! JGMsmart.UC needs a rating. Be the first to rate this app and get the discussion started!